I’m a sales intern within the Global Sales Team for Adconion Media Group, a performance driven online advertising network. Adconion, amongst other things, run online display campaigns (those ads you see parading all over the net) and try to get consumers to interact with them. My job is end to end campaign management for these campaigns; set-up, optimization, reporting, invoicing and post-campaign analysis. How much training were you given? Training lasted for the first few weeks and involved a complete introduction into the business; learning about the relationship between ad networks, publishers and clients, understanding all the different roles within the varied stages of campaign management, and learning how to use all of the in house systems. It was a lot to take in initially but an interesting learning process. Every morning I pull up the pacing report which tells me how all our campaigns are performing and then I send this off with notes to the relevant delivery managers so they can make changes. On Tuesdays and Thursdays the Global Sales Team has its campaign management meeting where we look at all the campaigns that are currently live and decide what steps need to be taken next. In these meetings I give an overview of each campaign’s performance. Recently, I was given five campaigns to manage and so I’m responsible for all the client communications and sending out weekly reports with the latest stats showing the performance. The training wheels are off and I’d say that I’ve been given quite a bit of responsibility, and I’m gradually getting more all the time. I think to be given your own campaigns to manage only after a few weeks of training is an achievement. Obviously I still have much to learn, but I like that I’ve been given the chance to really get stuck in with the work. How closely do you work with other graduates and interns? There are four interns working in sales at the moment, I don’t really work with two of them as they’re in a different department, but one of the interns sits next to me and our responsibilities often overlap. The office culture, without a doubt. Working in advertising is fun and that’s certainly the case in Adconion. Everybody is really warm and friendly, there’s music playing throughout the day, people talking and the table tennis table in the breakout area gets used a lot. We had our own Office Olympics not too long ago and amongst other things, there was an arm wrestling competition and chicken limbo contest. People work hard, but they play hard too. What tips would you give to other students wanting to work in this area? Be likeable, network, and do a lot of stuff, particularly the last two. During my interview, my degree was only mentioned in passing (as it’s not related to advertising) and I was simply asked if I got a 2:1. My interviewers were far more interested in my work experience, all the extracurricular activities I had done and the fact that my CV proved that I was very proactive. I also only found out about the internship through networking – one of the people I now sit opposite to is the sister to one of my brother’s friends who I met during the Queen’s jubilee. So I certainly think networking is important! 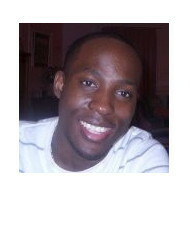 * Charles also blogs about his experiences as a new grad in the working world.